On Easter Sunday, when so many people were thinking of the Risen Christ, I was thinking of poets, and duct tape and extension cords. And that’s what I like about the South. Instead of being in church this morning, I was watching a taped program featuring Lucinda Williams. I am fond of girls named “Lucinda” and the show was Bluegrass Underground, not because bluegrass is in any way subversive, but because the show is taped underground. 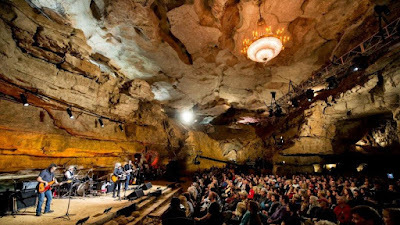 Literally underground -- in a cave in Tennessee. Who thought this up? Yes, the South is filled with much entrepreneurial spirit. It is the home of moonshine and fast cars that deliver it, which led to NASCAR. It is a place where you can find dinner on the side the road at more barbecue joints than you can name. The South is a place where a guy with a sombrero and spicy ginger ale can build an empire “South of the Border,” in South Carolina. And it is a place where you can put your kids through college by stringing Christmas lights and charge people to visit that old cave on your property. 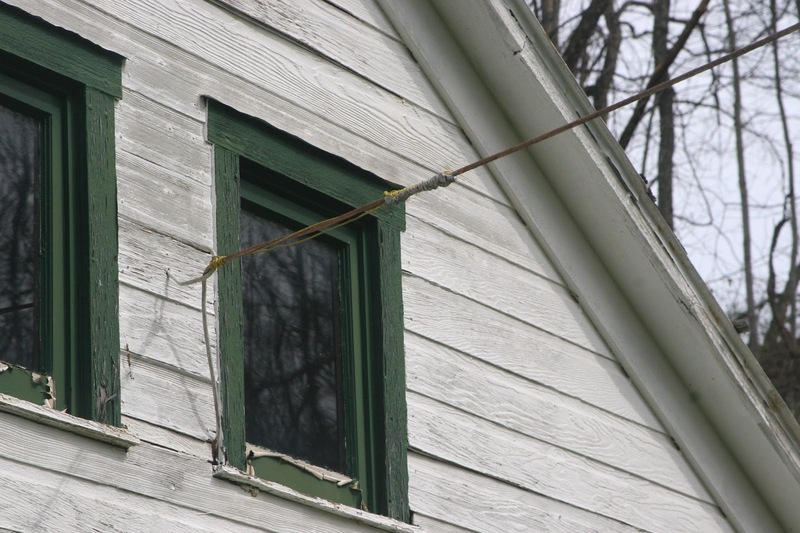 For many years now, my own chicken house has been powered by a duct taped extension cord. And that’s what I like about the South. So there was Lucinda Williams, in a cave. Now I have been a huge fan, but Williams has always been a bit unsure of her own sound and often, to her detriment, she has let producers lead her music. Her new CD reminds me the cuts I’ve heard from the Hank Williams biopic featuring Tom Hiddleston. Hiddleston is an English actor singing Hank Williams songs the way he thinks Hank would have sung them if he had been an English actor. When you hear them, you think, “Is that Hank Williams?” but soon you think, well maybe not. On her last CD, Lucinda Williams (no relation to Hank) sounds like an actress singing on a biopic. It is like she listed all the words used to describe her own singing style and then tried to sing like the real Lucinda Williams. Only, she is the real Lucinda Williams. Today she started out impersonating herself and I almost erased it, but I didn’t. Then she sang Pineola. It really doesn’t matter what she sounds like when she recites those words. I remembered that Pineola was written about poet Frank Stanford. Not a household name, even in the rarified circle of famous poets, but a guy with a huge cult following. I know a lot of poets. I cannot off the top of my head, name a one of them that actually supports themselves being a poet. They work other jobs to be poets. Their ideal job is to teach poetry to other people who will never make a living at it. They go to graduate schools for writing, they go to workshops, they teach workshops, they visit artist colonies, they publish in magazines, and still, they are often insecure in their poetry. Frank Stanford was not. He became a poet in grade school when he won forth prize in a poetry contest. That was all he needed to be a poet. He was employed as a surveyor. Stanford is most often described as charismatic, a phrase that is overused and imprecise in the world of poetry. When he died, shy of his 30th birthday, he was married to his second wife, or maybe his third, he was living with his mistress, and he was committed to 3 -5 other women, depending upon who tells the story. One of those women was Lucinda Williams. And that’s what I like about the South. so he never really knew her at all. hanging beside a cross on the wall. 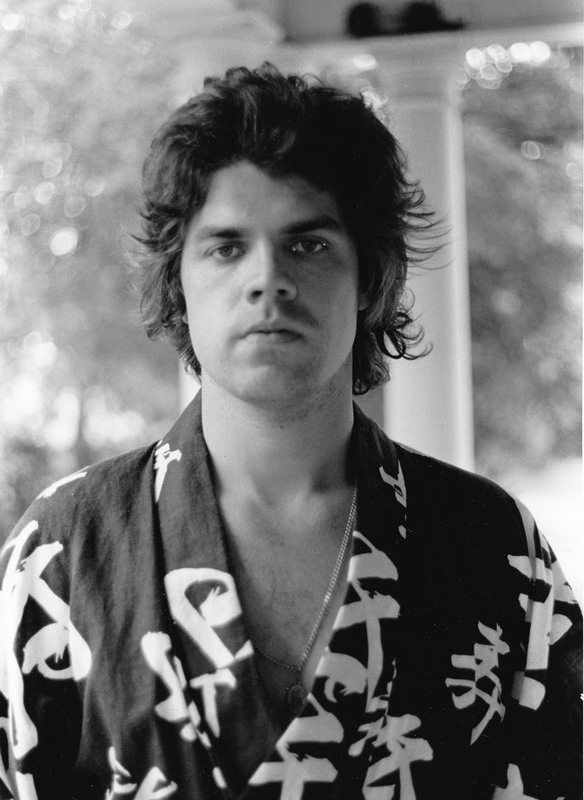 Not only did Miller Williams encourage the poetry in his daughter’s lyrics, he also supported other poets, including Frank Stanford and his lover, C.D. Wright. Now philandering with a bunch of women might possibly work in New York or Los Angeles, but Pineola is another story. Frank’s wife, artist Ginny Stanford and C.D. Wright sat down with each other to sift through the numerous lies it takes to juggle so many women. They decided to confront Frank. On June 3, 1978, Frank Stanford sent Lucinda Williams a bunch of flowers. She wasn’t home and Miller accepted the package for her. Ginny and C.D. picked up Frank to take him home to talk about the untenable situation. Frank asked if they could stop by his office first to pick something up. The women sat in the car and waited while Frank retrieved his gun. When they got to the house, the women sat in the living room and Frank excused himself for a minute. C.D. Wright picked up the phone and called Miller Williams. Williams called the coroner and removed the bloody sheets. When he returned home, he found Lucinda smiling and arranging the flowers. She shares what happened in Pineola. I couldn’t believe what he just said. and they found him lyin’ on his bed. Stanford was laid to rest in Subiaco, Arkansas. Much of the truth about his life was obfuscated by his own tall tales and filtered through a long line of poets, priests, singers, and artists. The body of his work, much if it by very small presses, has been too hard to come by. Now I’m not saying that there aren’t great poets out there in the vast plains and cities and tundra, but there is something especially poetic about living in places called Pineola and Subiaco and even Sylacauga. My friend Harry Lowe is from Opelika, Alabama. When people ask where he is from, he tells them Opelika and secretly crosses his fingers hoping that they ask the very predictable next question, “Where is Opelika?” When they do, Harry Lowe smiles and says, “Opelika is between Notasulga and Loachapoka.” And that’s what I like about the South. One day Harry Lowe and I were talking about the end of one’s life. I asked him whether or not he wanted extraordinary measures or whether he wanted me to pull the plug. 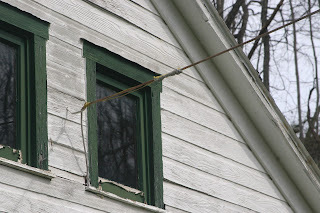 He thought for a moment and said, “Keep me plugged in.” He thought another minute and said, “If we can’t pay the electric bill, run an extension cord to the neighbors.” We laughed, but I can honestly say I never go into his neighborhood with checking to see who has a new outdoor plug or a cracked window. On New Years Day, 2015, Miller Williams died. In April of that year, Cooper Canyon Press released a collection of Stanford’s work entitled, What About This: Collected Poems of Frank Stanford, a volume including most of his chapbooks. This January, C.D. Wright died in her sleep. She was 67. My car is equipped with a jack, a first aid kit, a cooler, a blanket and there is always a book. These days I keep duct tape and an extension cord, because you never know when you might need to light up a cave, or hook up an iron lung, or simply throw someone a lifeline. We face everyday with stories of bombing, shootings, hateful politicians, sick children, injured puppies, and that’s just before breakfast. But we still have poetry to read and music to blast in the night air. Spring is here, the jonquils are in bloom, the lilacs are budding and in the end, the world is pretty great place.